Since you’re reading a beekeeping magazine, I’m assuming that you have an affinity for bees or your significant other/family member does. With Valentine’s Day just around the corner, the thought of purchasing presents for your Valentine should be a part of your planning (right, honey?) and I have your best-ever bee gift ideas below, with a little bit of everything for every type of Valentine. As a caveat, I am trying to stray away a bit from the normal food-related gifts and more into the tangible item realm to try to give something a little new. 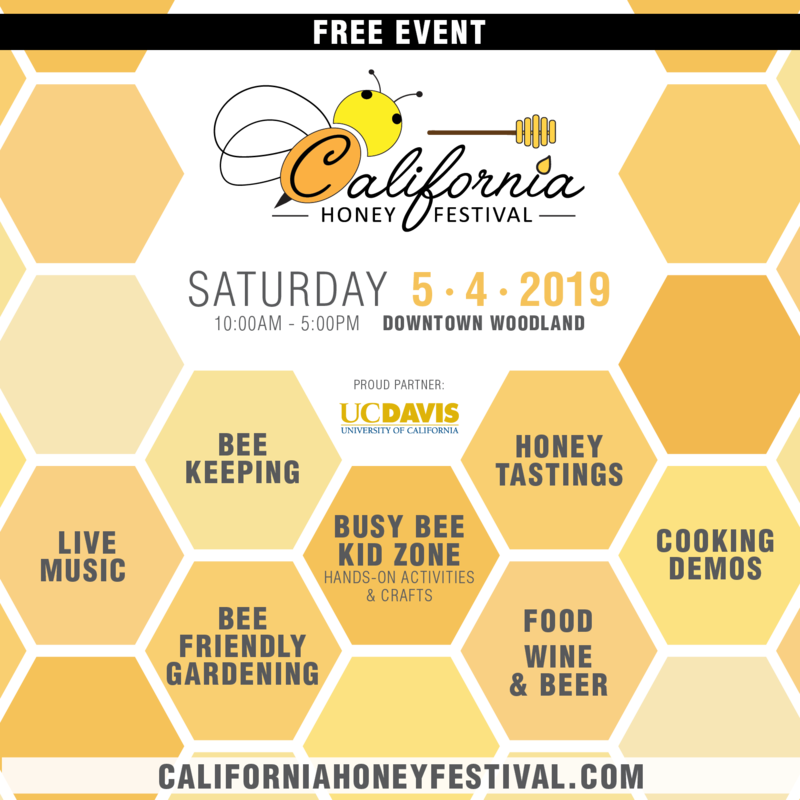 While there’s always the ever-present gift group of honey, candles, or other bee produced/beekeeper made gifts, this might be the time to think a little deeper into the thoughts. 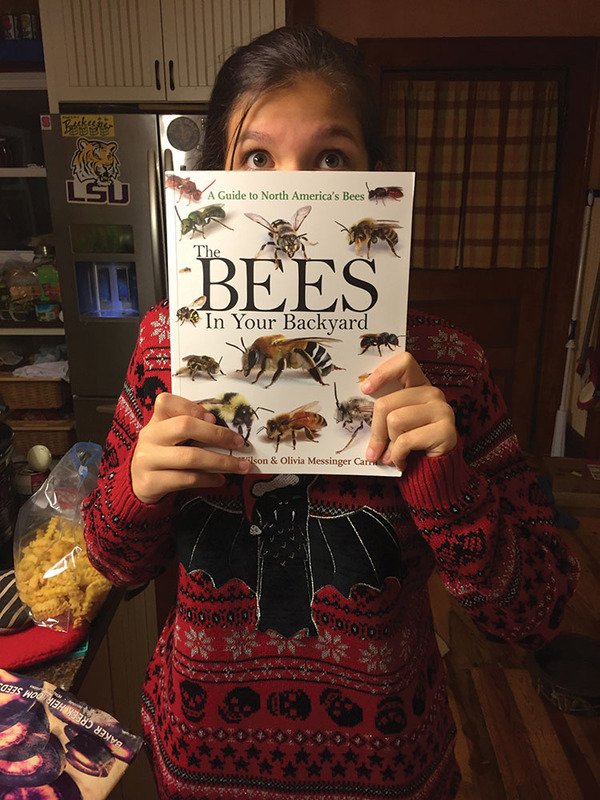 Maybe you’re looking for a present for a bookworm, a collector, a bee nerd, or a fashionista beekeeper, and maybe some of these ideas will lead you in the right direction! The first step in addressing a problem is admitting you have one. My name is Jessica Louque and I admit that I am a book hoarder. There, now everyone feels better. As a person who owns so many books that I have occasionally purchased the same book twice for fear of not owning a good book, I have a fairly large collection of bee-related books. Of all the bee books out there, the book I reference the most is Insect Pollination of Cultivated Crop Plants (1976), by Dr. S.E. McGregor. I have to say it is some of the most well spent money on any of the books that I use. 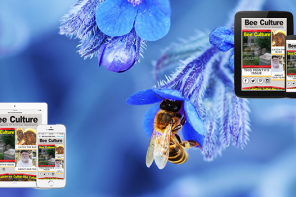 If you are not as interested in pollination specifically, it might not be as nice of a gift. If you’re trying to encourage a budding beekeeper, Kim Flottum’s book The Backyard Beekeeper is really one of the best you can get. The colors and photos are engaging and the writing style keeps you from losing interest. Most anything put out by Lawrence Connor should be on most book collector’s shelf, and maybe you could start a tradition of a new book each year. 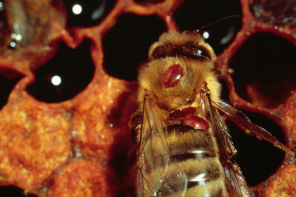 If you’re looking to round out some non-apis (non-honey bee) information, The Bees in Your Backyard: A Guide to North America’s Bees is a good bet for a good reference. If you have a baby bee as your Valentine, you might want to look into The Bee Tree by Patricia Polacco is one of my favorite children’s books for the eastern European artwork and slightly different take on storytelling. If you’re buying for a more casual reader, might I suggest a nifty magazine called Bee Culture with a year subscription for your Valentine? I hear it has some excellent contributors. Maggie with The Bees book. 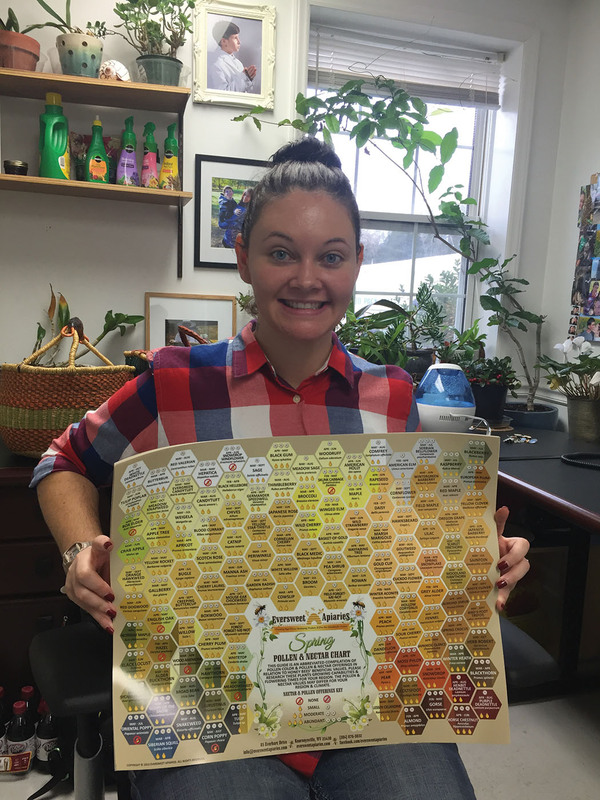 One of the more interesting things I’ve come across lately was recommended by a friend who might be considered a bee enthusiast is a group of posters sold by Eversweet Apiaries in West Virginia. If you have someone who might love reference books, or bee books, but you’re hesitant to buy them books because their collection is daunting and you don’t want to buy them something they already have, then this is a gift to consider. 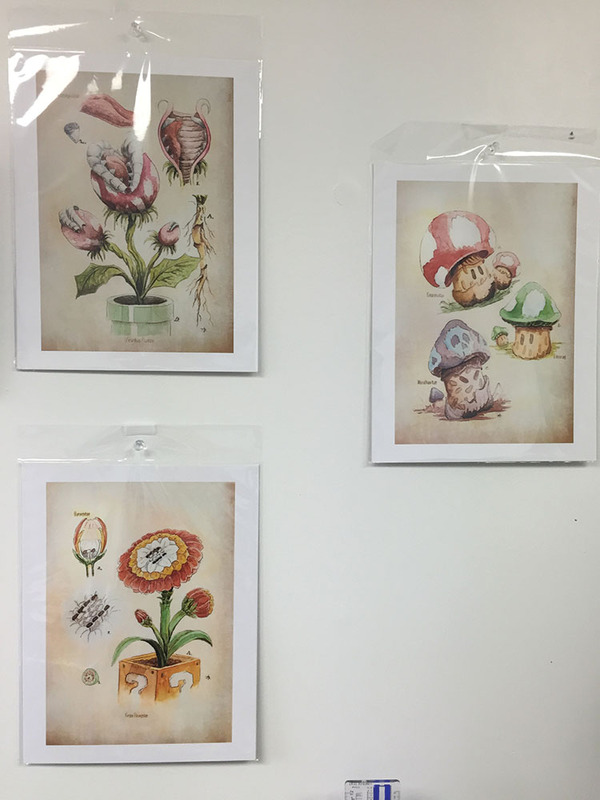 They have a honey poster, and a pollen/nectar availability poster that you can either buy by the season, or a season compilation of all three posters for a reduced price. It’s a pretty neat poster set that of course will vary depending on your region, and would be nice in a frame. The only caveat from my perspective is that this is a present that requires a little pre-planning because it took a good few weeks for me to receive mine in the mail after ordering. If you want to have it in time, you’d better order it now! Botanical drawings for the plant-inclined. If you’re like most bee people, you are just about at that point in the year where you are itching to plant something and most likely hoarding seed magazines and ordering ridiculous seeds that you don’t have room to grow in anticipation of the coming Spring. Feed the need with seeds. Nothing says “I love you even when your ignoring me in the garden” more than buying seeds. At least that way, they can think about you while they sit in the garden! This is one of the more dangerous areas for buying a present because it turns into the “To: me, From: me” present. My absolute favorite seed company is Johnny’s Seeds. Nearly all our vegetable seeds come from there, and we use them for our major purchases as well. We bought an entire pallet of buckwheat seed from them this year, as well as almost every seed produced in the U.S. for one of their tiny pumpkin varieties. The germination was excellent and the plants were definitely high production. Sometimes, Johnny’s is missing a variety or type that I want, and High Mowing Seeds is my second go-to seed source. Both companies offer a wide range of organic seeds that are high quality. If you’re looking for something a little more bizarre, you can find all sorts of odd things on Etsy that may or may not be a good idea to plant in your zone, and may or may not be good for your wallet. Have you met Etsy yet? Pollen poster from the bee company. If you’ve never shopped on Etsy, let me please be the first to introduce you to your new shopping addiction (or your wife/girlfriend’s new addiction). What bee person couldn’t use a super comfortable shirt that’s also stylish or entertaining? There is a store called Zen Threads that sells the absolute softest t-shirts I’ve ever purchased. Most of their designs are pretty quirky, with everything from vampire squirrels in hazmat masks, to giraffes in tennis shoes, to a couple of neat bee prints. 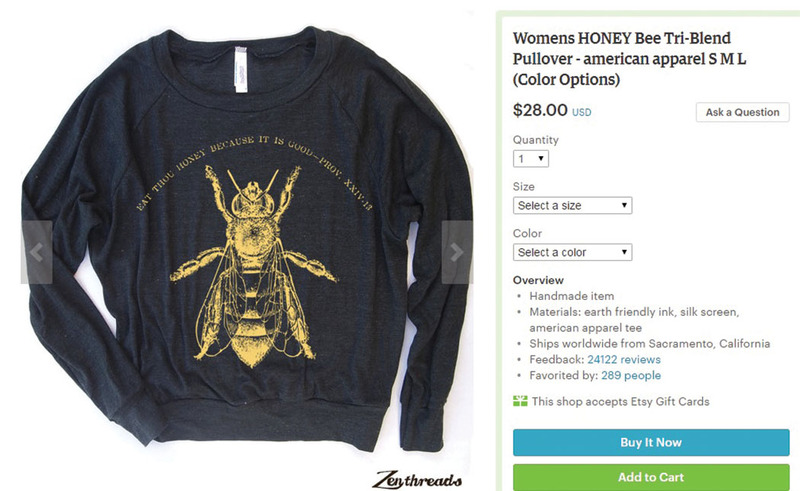 My favorite has a large print of a bee and declares the greatness of honey. There’s also a white and yellow striped pair of knee socks that you can buy with a bee print. If you’re looking to spiffy up a Mr. beekeeper in your life, let me send you to the Cyberoptix store on Etsy. If you search “Oh Honey” you should be able to find this handsome black silk tie with a gold screenprint of bees on honeycomb. This is another store of quirks and probably also quarks, with all kinds of nerdy designs that have graced a many of my grandpa’s Christmas and Birthday present boxes, as well as my husband’s boxes. If you don’t feel like it’s too much, or you need to bee-up a non-bee tie, Etsy store CosmicFirefly sells a really nice bee tie bar, although it looks a bit more bumble bee-like. Bobby enjoys his and uses it frequently. If you want a couple’s matching set, multiple Etsy stores sell a golden bee bobby pin set that has the same die-cast mold as the tie bar. I believe there are also rings that match, but those are going to be a bit large for the same bee mold. Speaking of jewelry . . .
Etsy is a great place to find bee jewelry for most any taste and price range. They have all sorts of sets for rings, necklaces, and earrings, or mix and matching. I’ve ordered from a lot of different stores or vendors on Etsy, and rarely do I have a problem (perhaps twice, and one of those was not particularly bad and was rectified by the shop). I would not hesitate to purchase something on there just because it was a little pricey if I thought it would make the perfect present. You can also have someone custom design your piece by a shop. Bobby and I had a fork set made with our wedding date on the handle, and just above the tines said either “Mr. Louque” or “Mrs. Louque” with a bee stamp embedded in the metal. Customized presents always mean more, but you might want to spend some time looking around for who looks like they can make the best product. So now onto my last phase of presents – the pampered bathroom accouterments like lotions, soaps, shampoo, and such. If you are looking for a reasonably priced brand of cosmetics, The Naked Bee does a pretty good job of maintaining good quality without breaking the bank. They sell a wide range of cosmetics, including shampoo, conditioner, soaps, lotions, sunscreen, and a few other things. If you want to have a little more luxury while being in the organic realm, check out the LUSH cosmetics website. They are based in Canada, but have a U.S. version of their site as well. 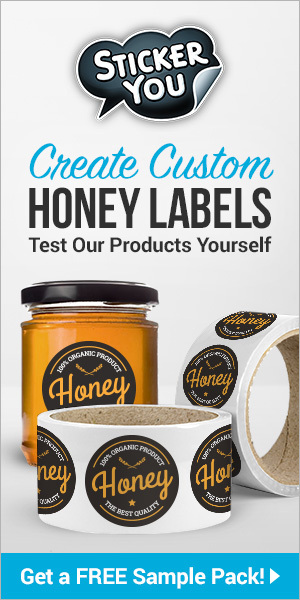 They have products that are all hand-made and range from cruelty-free labeling to full vegan lines (maybe not so much bee-based in that category). One of their best sellers in the soap is Honey I Washed the Kids, a honey based soap that has a little liner of beeswax on the top. It smells fantastic and lathers well. They also have a great honey shampoo, and their lotions are to die for. They are definitely on the pricey side, so be prepared to separate from your money, but it’s a worthy purchase for your bee-utiful lady in your life (or ladies, should you have daughters around on Valentine’s Day). Whether you are buying a present for your friend, your parents, your lady love, your handsome husband, your kids or yourself, I hope you were able to pick up some great ideas to show some love to the important people in your life. If all else fails . . . there’s always chickens. And baby goats. And maybe alpacas and mini donkeys.